I'm only half way through my summervacation, which we at the moment spend at our summerhouse enjoying a much needed "slow living" break with the kids . I jump out of bed around 7 every morning (strange that it is never that easy to wake up on a work-day?? 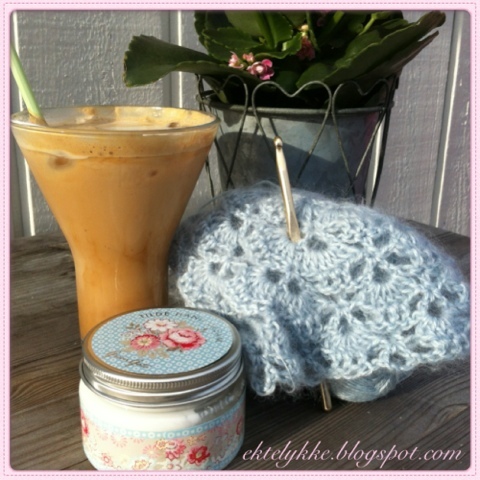 ), and enjoy some quiet hours on the porch with my coffee and my crochet before the rest of my noisy, lovely family wakes up. These lovelies just had my name written all over their dreamy fluffiness, and before I could help myself I had bought 4 skeins of these, as well as 4 skeins of the softest Alpacca/Silk blend imagineable! 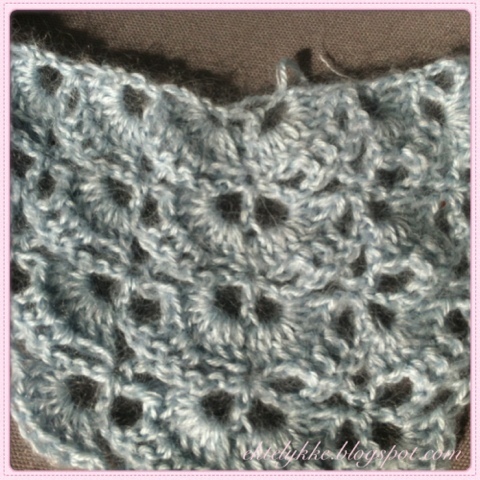 A match made in heaven for a feather-weight, lacy, cosy-smozy shawl/wrap for chilly summernights. I have been looking for a more lacy pattern than the plain and simple one I made for the " Strawberry Cheesekae Shawl", and I think I found one that is just perfect! 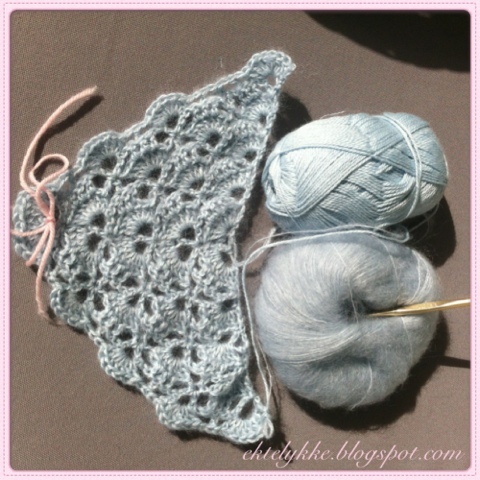 So, are you ready for some sneak peaks of what I think is to become my "Daydreamer Shawl"? Love at first sight ❤ It is impossible to resist, right? 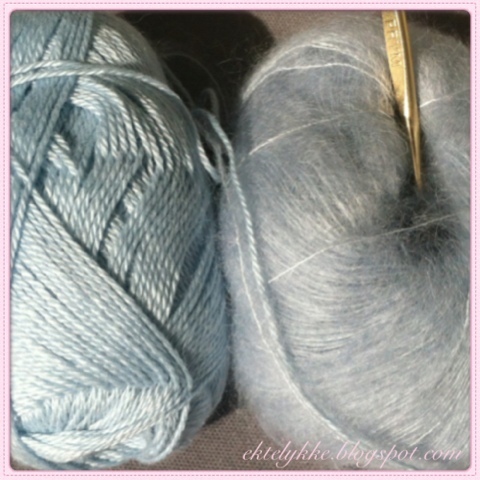 The colour and the texture is even lovelier in real life ;airy light blue and sooooo soft! !